GST produces a long running series of stained glass pattern books and premium glass bevels. 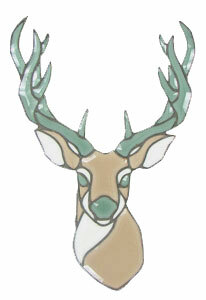 This pattern of a powerful male deer will help you lay out GST bevel cluster # GST130C. Find even more great GST products here at Delphi.